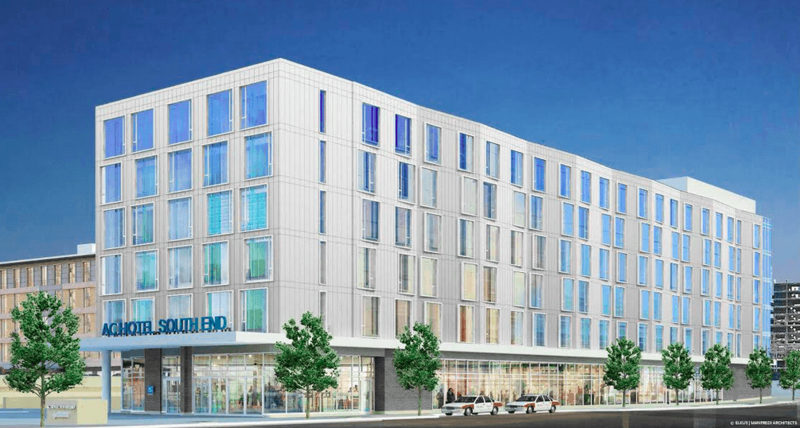 Ink Block developer National Development Monday morning announced plans to build a new European-style Marriott hotel on Albany Street, adjacent to its much talked-about mixed-use project in Boston's South End. The new "European-inspired" AC Hotel by Marriott will occupy the former sites of FW Webb and Independent Taxi, both of which were previously acquired by National Development, a press release states. Construction on the new 200-room hotel is expected to begin later this year, with a grand opening slated for early 2017.